A heated game of finger-pointing between Omnitrax Rail and the federal government will continue next month in court as both debate over who should repair a damaged rail line in northern Manitoba. 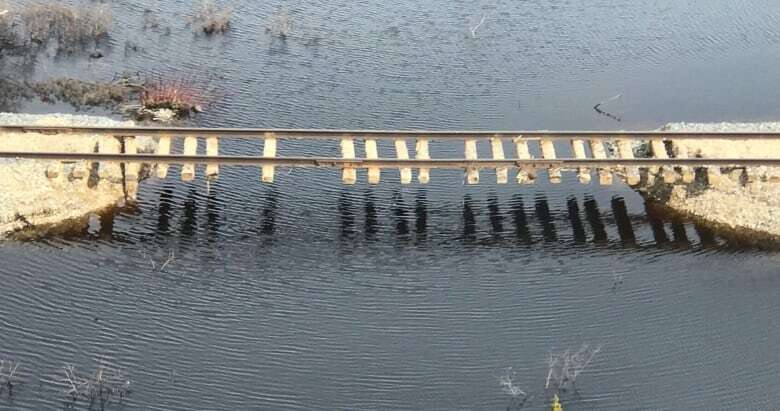 The two sides squared-off after the Denver-based company, which owns the rail line into Churchill, didn't meet an Ottawa deadline to fix the flooded tracks. Legal counsel for each side met in Winnipeg court Monday morning. A subsequent court date was set for Feb. 22 where Omnitrax is expected to ask to have the case thrown out. Residents of the Hudson Bay community have been waiting since May last year for repairs to start on what they describe as a lifeline to the south. 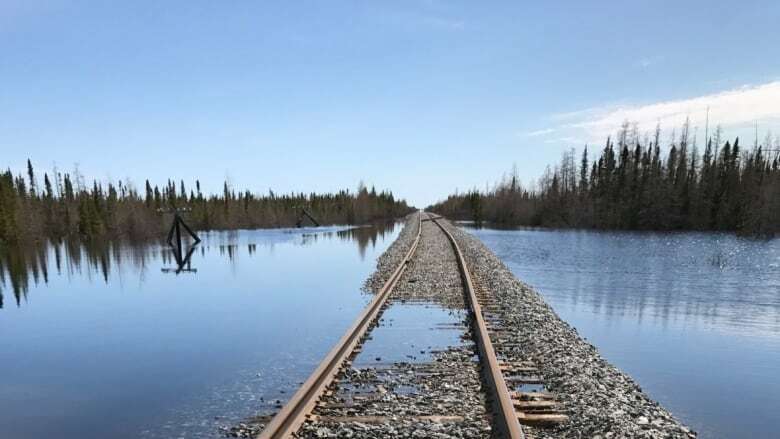 The only landlink to Churchill is by rail — which brings propane gas, food and other vital goods to the northern town — and the train was suspended in June due to the havoc caused by severe spring flooding. The damaging floods and historic record water flows came after two powerful March blizzards walloped the town, located about 1,000 kilometres northeast of Winnipeg. The track bed was washed away in 19 spots, a preliminary assessment showed. Thirteen bridges, 68 culverts and 31 washout areas were in need of repair in the roughly 300-kilometre stretch connecting Churchill to Gillam, Man. At the time of the closure Omnitrax said it would take months to repair the line. Churchill Mayor Mike Spence called the situation "disastrous", as the community of roughly 900 relies on tourism and the summer season — centred on beluga whales in the Churchill River — was just set to begin. In July Omnitrax announced the cost of repairing the line by October — just in time for the train to start running before winter — would come with a $60 million price tag, and the company said it couldn't cover the bill. Omnitrax asked the feds and the province, along with First Nations, to pitch in cash. "It [the rail line] is not commercially viable, so we believe it's a public utility," said Peter Touesnard, chief commercial officer for Omnitrax at the time. "We believe it's still the least expensive way to supply service to the north, in particularly the community of Churchill, and we believe there is a role for the public to play in that." By that time the closure meant food prices in the north had already begun to soar and businesses were forced to lay off staff as goods and materials usually shipped by freight were flown into the community at a much higher cost. 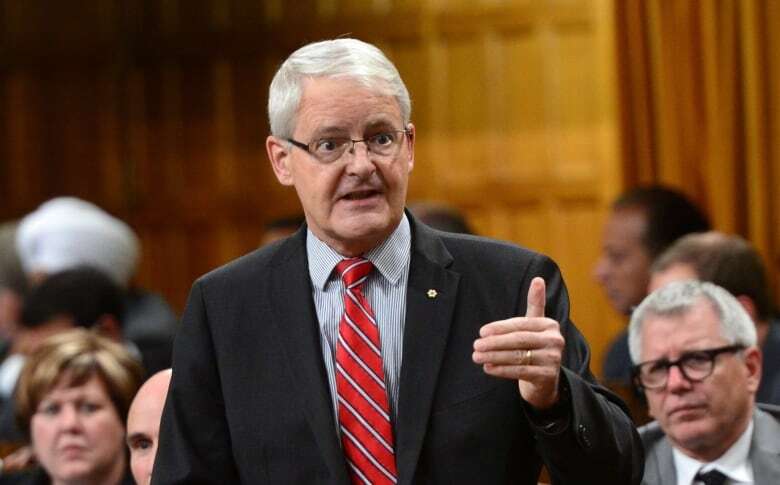 Both the federal provincial governments said Omnitrax had an obligation to make the repairs. By September, the federal government "formally demanded" that Omnitrax fix the track, releasing a statement saying the company was part of an agreement that requires the company to operate, maintain and repair the entire Hudson Bay Railway Line in a diligent and timely manner until March 31, 2029. A overland route using sno-cats was able to reach the community in late December. Last November the federal government filed its statement of claim against Omnitrax, suing the company for $18 million for allegedly violating terms of a 2008 agreement that saw the federal and Manitoba provincial governments pledge $20 million each to help upgrade the railway. Along with the money, that contract said Omnitrax had to complete the upgrades by October 2018. That deadline was later extended to 2019. Transport Canada said that under the agreement, Omnitrax also had to maintain and operate the rail line for 10 years after repairs were completed — until 2029. The lawsuit followed an announcement earlier the same day from Omnitrax by saying it would challenge Ottawa under the North American Free Trade Agreement (NAFTA), alleging that the federal government "sabotaged" efforts to repair and transfer ownership of the the line. Omnitrax filed a notice of intent to submit a claim under Chapter 11 of NAFTA, which allows businesses to sue a government without first going through the country's court systems. It is intended to protect foreign investors from discrimination. Omnitrax said it wants a "reasonable arrangement to repair and transfer the HBR Port of Churchill," and if that isn't forthcoming, it will seek damages of $150 million and legal costs, according to the notice of intent. Meanwhile hope was stirred in Churchill after Toronto investment firm, Fairfax Financial Holdings, announced it would partner with two groups representing northern communities and First Nations — Missinippi Rail LP and One North — who signed a deal to purchase the Hudson Bay Railway and Port of Churchill from Omnitrax back in June. As the feds and Omnitrax prepared for their scheduled first day in court Monday, efforts to purchase the line continue with ongoing negotiations between Ottawa and the potential new owner group.